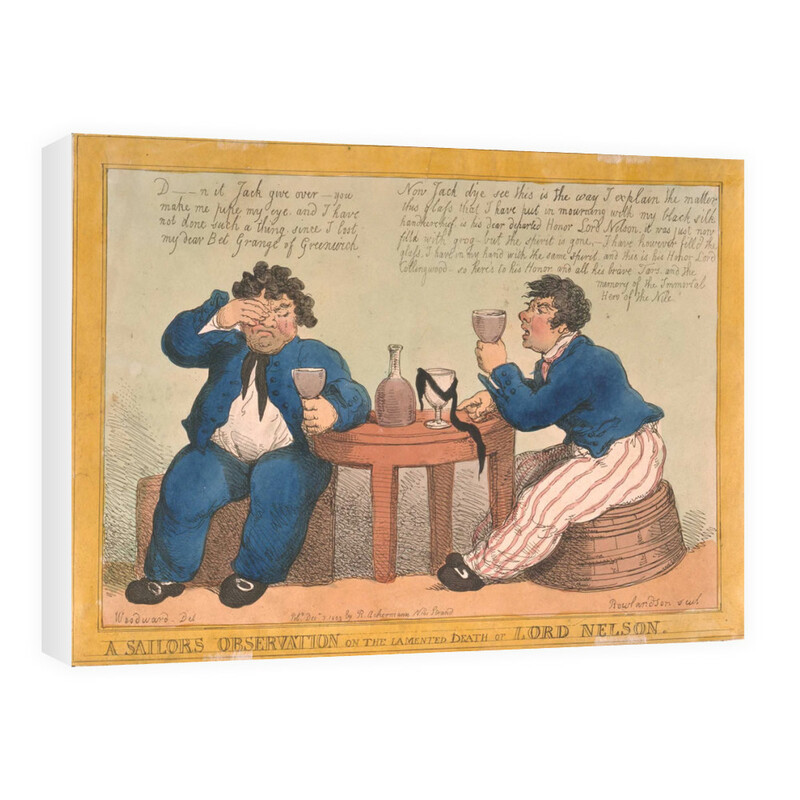 Coloured caricature, dated 3rd December 1805, of two sailors sat at a table drinking rum to honour the death of Lord Nelson. The one on the left is holding a glass in his left hand and rubbing his eye to stop himself from crying. The one on the right is raising his glass in his left hand. On the table is a bottle and another glass which has a black mourning silk handkerchief wrapped around it. This A Sailors Observation on the Lamented Death of Lord Nelson Canvas is created using state of the art, industry leading Digital printers. The result - a stunning reproduction at an affordable price.